Getting your content to go viral can provide a huge boost to your business. Unfortunately, there’s no surefire way for you to ensure viral success. 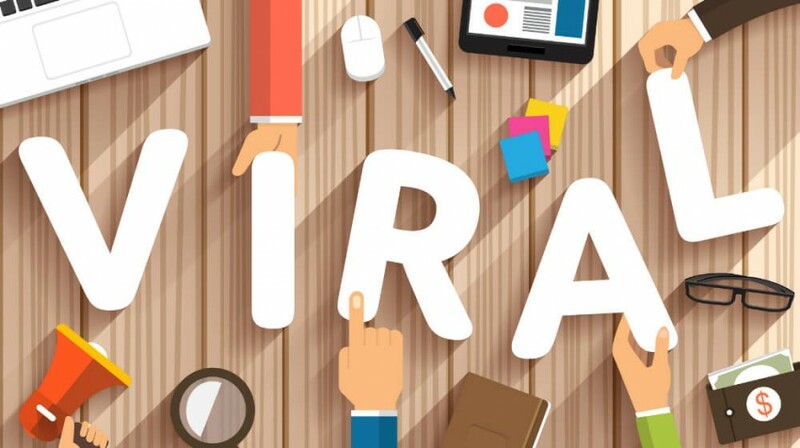 However, recent findings from BuzzSumo suggest that there are several factors that can contribute to whether or not a post has a good chance of reaching that coveted viral status. Below are some of the traits of viral success and the things that many viral posts tend to have in common. If someone shares something online that seems completely normal and expected, you probably wouldn’t even give it a second thought, much less actually share it. Why share something that everyone already knows? However, if you come across some new facts or surprising information, it could be something that really catches on. 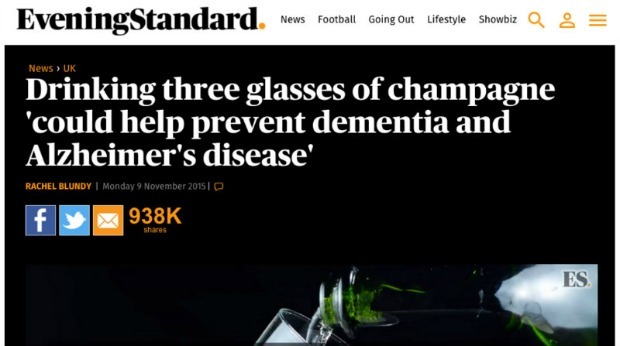 For instance, medical studies that produce surprising results, like this one from the London Evening Standard that found that champagne could help to prevent dementia, were found to be very popular. When there’s something that is exceptionally popular during a certain time period, you can leverage that to increase the popularity of your online posts. 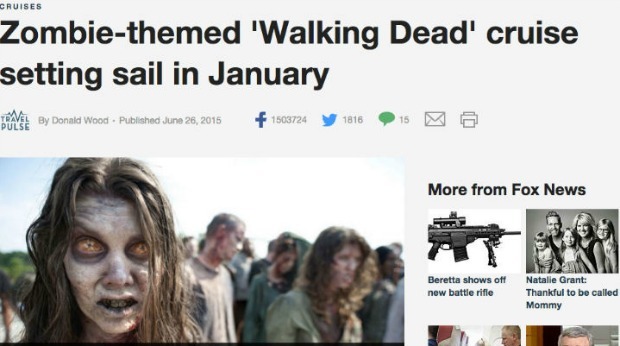 For example, zombies have enjoyed a prolonged period of cultural relevance in recent years. So content relating to things like this post about a Walking Dead themed cruise were shared more than others. People love to be inspired. So quotes and inspiring stories, particularly when presented in list form, are still quite popular online. 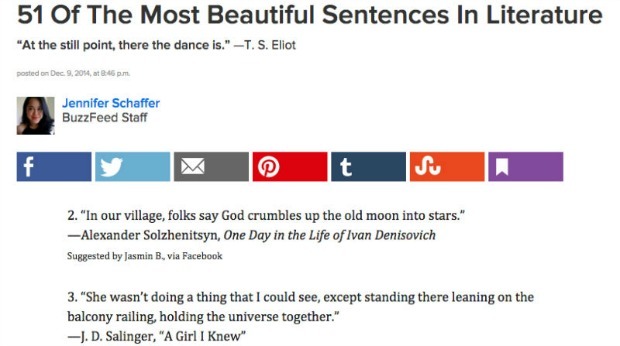 In fact, this BuzzFeed post, which includes 51 beautiful literature quotes, got over 9 million views and 1.4 million shares. Similarly, visuals can be just as inspiring as words. 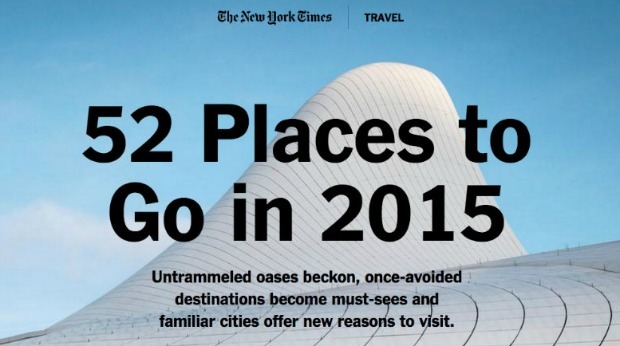 So list posts that share stunning photos, like this New York Times list of places to visit in 2015, get lots of shares. In fact, that post received over 500,000 shares and was the fourth most shared post from the New York Times in 2015.
Who doesn’t love seeing and sharing photos of cute baby animals? Posts that include photos or videos of adorable animals or babies tend to get a lot of shares online. 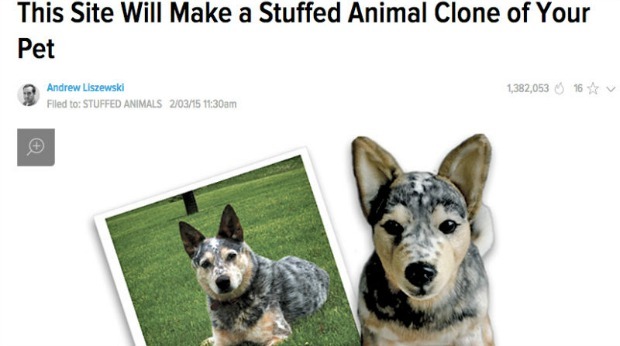 This one from Gizmodo, which shares a site that will make personalized stuffed animals to look like people’s pets, was the most-shared post from the site last year. Sharing actual information with people can be helpful. But if the subject matter is relatively dry, it doesn’t exactly make for great odds of going viral. However, if you can present that information in a format that’s amusing or funny, it could increase your chances. 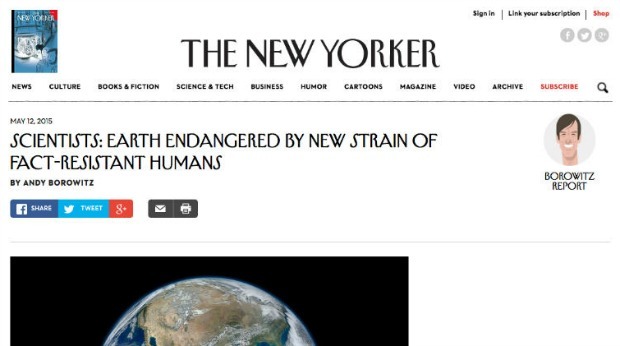 For example, this post on the New Yorker used an amusing and sort of sarcastic tone, particularly in its headline. So it got twice as many views as other posts on the site last year. 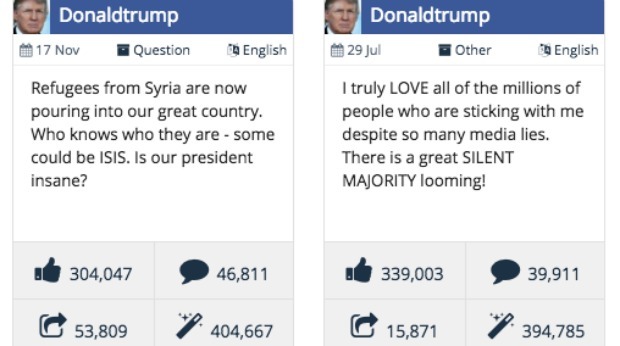 Nothing gets people to talk and engage more with online content than controversy. Though it can be a little risky, creating controversial content usually means eliciting strong reactions. And those strong reactions often lead to shares. No one has leveraged the power of controversy as much in the last year as much as Donald Trump. Whatever you think of him, his posts have gained a lot of attention. People also love being challenged or quizzed, particularly when those quizzes can tell them something about themselves. 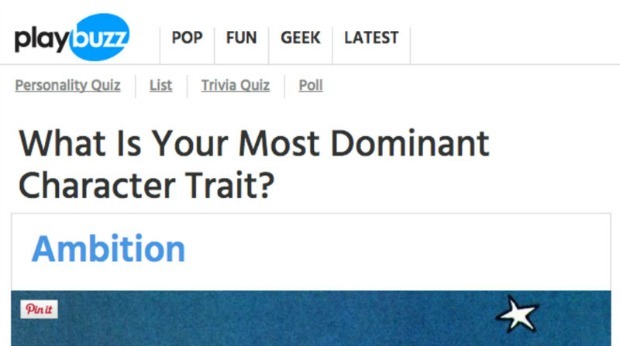 This personality quiz from PlayBuzz helped people to determine their most dominant character trait through a series of questions. And as such, it received over 4 million shares. 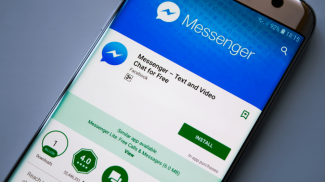 Just as your business likes to share content that can be helpful to people, individuals also like to share helpful content with others in their networks. So posts that provide warnings or information about things like product recalls or safety information tend to get lots of shares. 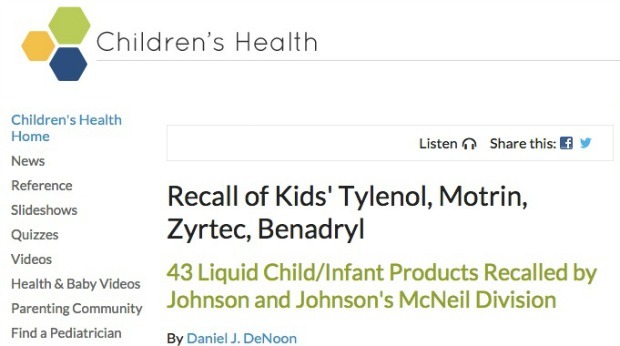 This WebMD post about a recall for kids’ Tylenol is one example. Along those same lines, if you can create posts that help people find success in some form or another, you could be onto something. Since people like to share content that can help people, and everyone wants to be successful, these posts often get high share counts. 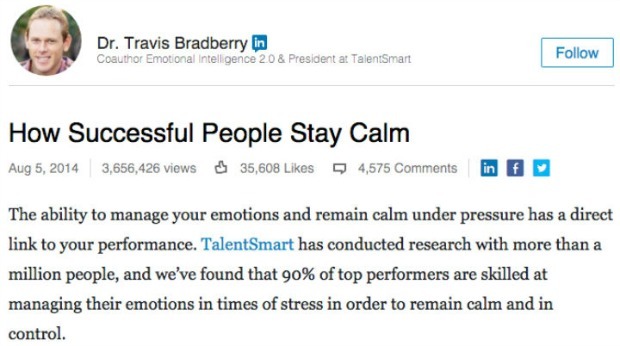 This LinkedIn post about how successful people stay calm got over 3.6 million views. In addition, posts that include tips for things like health, diet and fitness are often considered to be helpful resources. 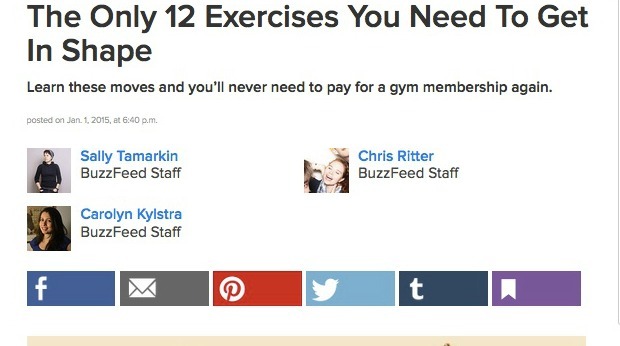 So posts like this BuzzFeed list of bodyweight exercises often lead to high share counts and page views. Posts about love and dating also tend to be popular, especially those that provide tips or advice in those areas. 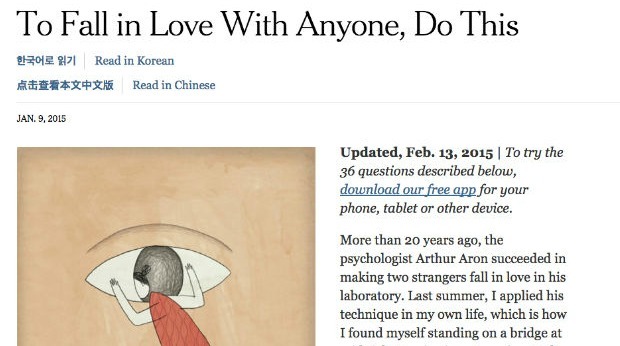 This post in the New York Times, which provided an interesting method for falling in love, got the second highest number of views on the site last year. Also helpful, as well as potentially inspiring, is content that relates to living a long life. 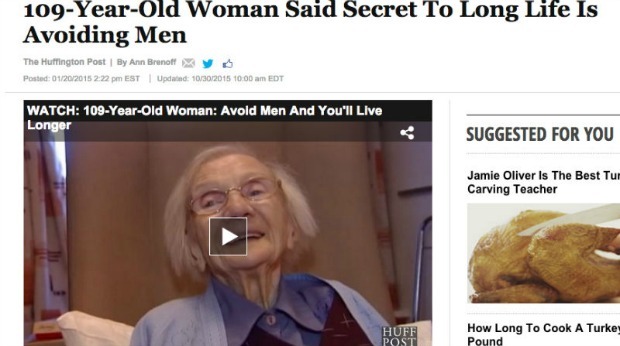 This video on the Huffington Post, where a 109-year-old woman shares that avoiding men has contributed to her longevity, went viral on a number of different online platforms. 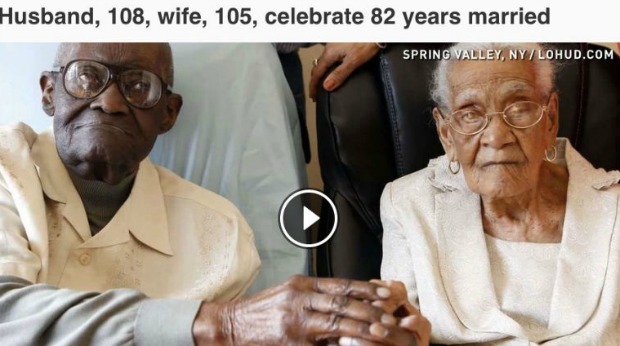 And lastly, people love uplifting stories like this one about a couple celebrating their 82nd anniversary. 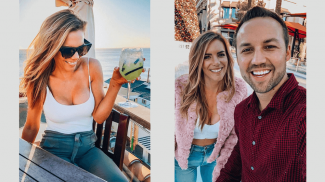 So any content you can provide that gives people a happy story to break up all the sad news and informative posts they come across online could be likely to gain a lot of shares. I think it helps to study all the viral content out there and learn from there. There is a trend and it can sometimes be a hit or miss but there is certainly a technique in creating the headline and the hook. For sure – there’s never a guarantee, but there are some trends you can study.